Cliff Murphy is an ethnomusicologist, folklorist, and former working musician. He is Director of Maryland Traditions, the state folklife program at the Maryland State Arts Council, and he teaches in the American Studies Department at the University of Maryland Baltimore County. He is the author of Yankee Twang: Country and Western Music in New England (University of Illinois Press, 2014), a history and ethnography of country music in New England from the early 20th Century to the present. His is also the author - with Henry Glassie and Douglas Dowling Peach - of the forthcoming Dust-to-Digital release, Ola Belle Reed & Southern Mountain Music on the Mason-Dixon Line. 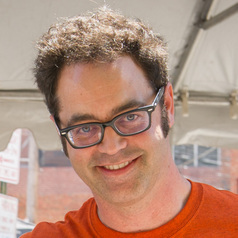 Cliff is a regular co-producer with Aaron Henkin of "The Signal" on WYPR 88.1-FM, Baltimore's NPR Affiliate.